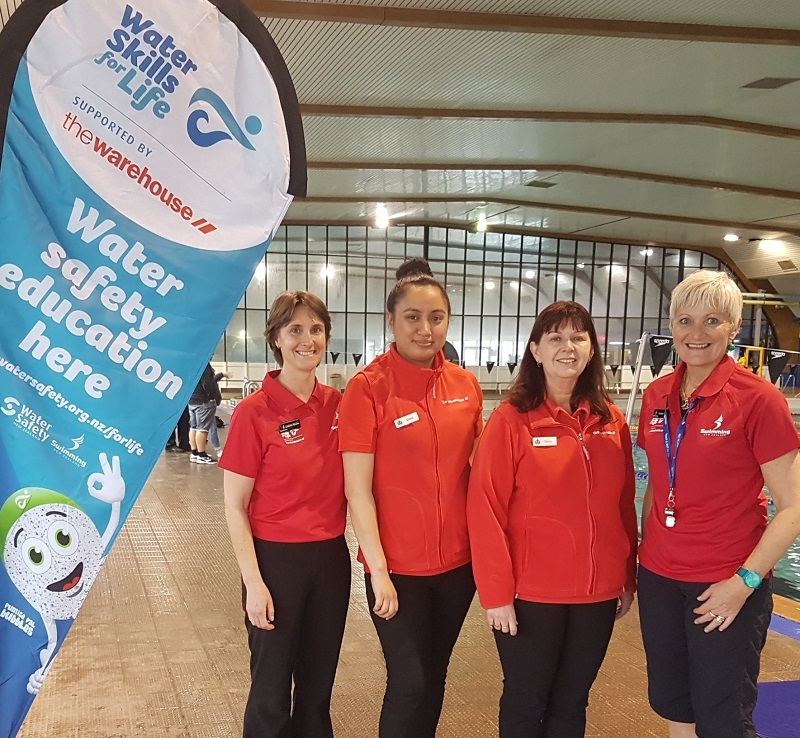 School teachers and swim teachers attended professional learning development for Water Skills for Life, on 20 August, at the Rotorua Aquatic Centre, a pre-event to NZRA's WAVES conference. In addition teachers learnt about CBE's Safer Boating and Surf's Beach Ed programmes for primary school children. Training was conducted by Swimming New Zealand educators with both classroom and pool sessions. Special thanks go to Rotorua Intermediate and Western Heights Primary school students who were put through their paces in the pool. 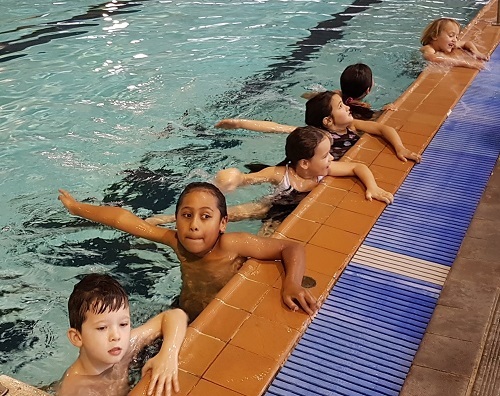 Giving students the necessary water safety skills to assess risk and make smart decisions in order to stay safe is an important part of the The New Zealand Curriculum. Water Skills for Life supported by The Warehouse, had Rotorua store managers on hand to present certificates to teachers at the conclusion of training. Here's Swimming New Zealand Education Manager, Chris Morgan speaking about this transformational programme. I spoke to Christine Kay, Year 3 teacher from Western Heights Primary School, Rotorua who brought her students along to the Rotorua Aquatic Centre, to demonstrate Water Skills for Life. Here's a shot of her students experiencing getting into deep water, as part of Water Skills for Life. Thank you for offering our children the opportunity to learn water safety skills.I was so impressed with the programme that our students experienced when working with your tutors yesterday. "For many of our children, this was the first time that they had been in the deeper pools. Most of our students only experience any kind of swimming instruction during our once a year swimming lessons at the Aquatic Centre" said Christine. Over the hour they were in the pool (at the deep end), I saw the students develop their confidence in the water. They had clear direction from the tutors and they understood that the skills they were learning could save a life one day. I was slightly apprehensive about the idea of the students being in the deeper pools with only a ball or a bucket to keep them afloat. The students amazed me with how confident they had become in doing this by the end of the lesson. The message that you could keep someone alive by throwing them a floating device was one that the students readily accepted as a result of their experience. The skills and confidence that the students gained over the hour that they were with your tutors was invaluable. They now have some water skills that may save their lives or those they are with. The Swimming New Zealand educators were excellent in their communication and direction to the students and we are very grateful to have been given this opportunity. I wish you all the best in your implementation of this programme. The Warehouse Rotorua store managers with Swimming New Zealand educators at the Rotorua Aquatic Centre on 20 August 2018, for the teacher training day. Original generation time 1.4649 seconds. Cache Loaded in: 0.0006 seconds.